i did a three parter update about old ciaociao over on terrydean.wordpress.com. did a bunch of maintenance work and a few little things that i’ve been meaning to do for years but never had. go check it out! and stay tuned over there for more ciaociao! dusted ciao off, been sitting for a few years. getting it ready for the rally this weekend in la. i took a bunch of pics, so i’ll update this later, but here’s a current picture of my dear old ciaociao. i’ve still got plans for the old thing, and while i’ll be cross posting to my other blog, i think i’ll start updating this thing again. 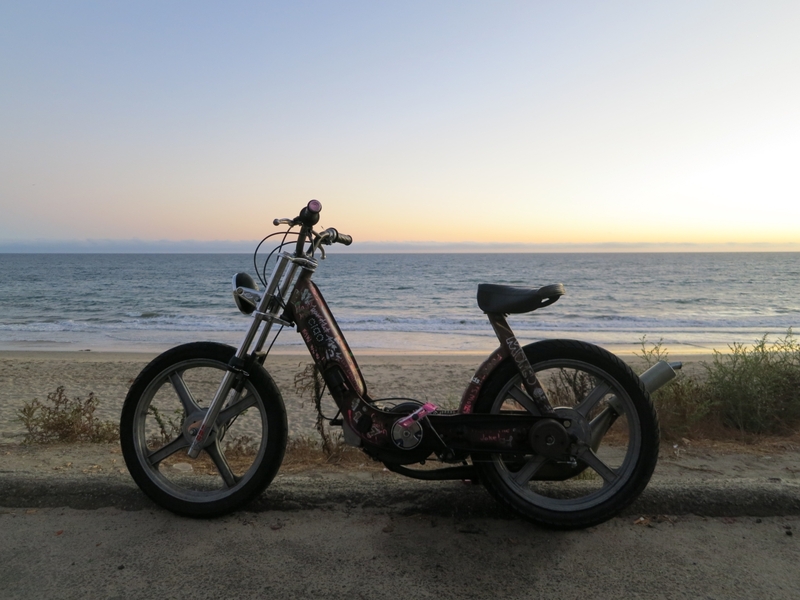 none of my moped blogs have been getting much love lately. i am currently one of three full time techs (one of which is out with a broken collar bone and the other who is moving away) at one of san francisco’s busiest motorcycle/scooter shops. 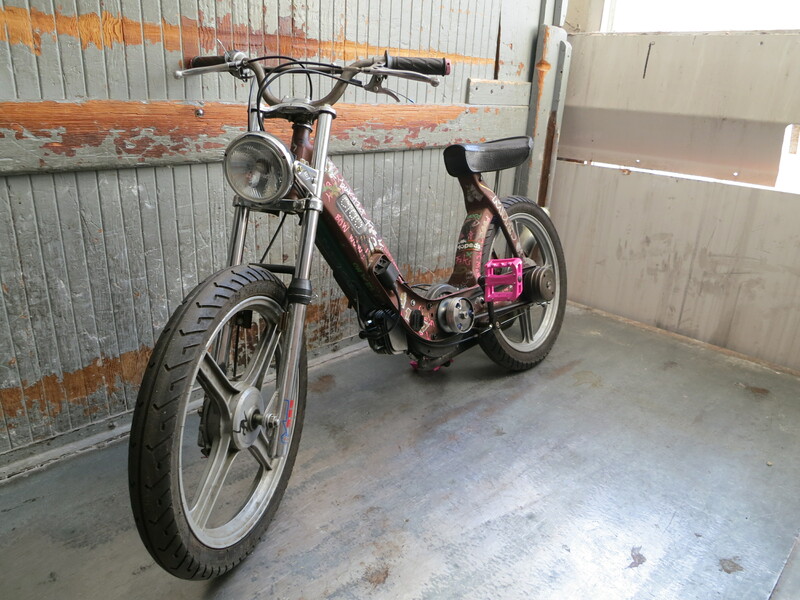 i am also trying my best to run a moped repair shop out of a space i rent from said motorcycle shop, a repair shop that has yet to pay for itself since i opened it six months ago or so. needless to say, i haven’t had much time or spare money to work on my own bikes. however, i miss them dearly, and hope to be back to working on them before too long. i have picked up a couple projects here and there when i did have a few spare bucks, and i’ve also got big plans for ciaociao. my hope is that within the next couple months both this blog and the destroymopeds.wordpress.com blog will be back in action. i’ve got plenty of work to fill these pages, i just have to find the time to do it! now i’m going to go and cross post this to the destroymopeds blog. ciaociao wheels for sale! well, soon anyway. so i’ve got lots in store for ciao, and i’m starting to collect parts. i’m going to be going back to 17″ spokes for now (anyone have a rear wheel in good shape? ), and i will be selling the si X wheels with the sava tires mounted. anyone interested? i’ll be posting them up on moped army too, but site is down this weekend for the long awaited update, and i don’t think i’ll be ready to let them go by next week. i’ll post them on here first and wait like a week or so before going to the buy/sell forum over there. i don’t know how much i want for them, probably similar to what they go for on treatland.tv, and it’s still going to be a little while before i can give them up, but now’s your chance to call dibs if you want them! front has been converted to 12mm axle and sealed bearings. brake plate is stock si modified to work with stock ciao fork, also worked perfectly with the bravo fork. if you have the chrome ebrs like i do now, you’ll have to modify something to make it work. i welded some metal to my fork to make it stick further out and it works great. the front brake pads are newish, probably around 80% life left. i can check that when i pull them off. front tire is sava 16×2.25, rear is 16×2.5. rear has around 50% life left, front more like 80%. i’ll grab pictures when i remove them. reno rally was a success, of course. the ciao is pretty reliable these days. i did have my wire going from the stator to the coil break on me, causing intermittent spark, fouling my plug, but a new spade wire connector and a new used b7hs and ciaociao was back at it! sorry, no pictures.. forgot about my camera and it sat in my bag the whole weekend. i ended up leaving ciao in reno again, too many cop crack downs in sac and ciaociao isn’t exactly legal.. reno will be taking it to sf rally for me. i’ll be throwing on a new belt and grab a new plug while i’m at it and i have faith that ciao will make the whole rally! well, as long as i don’t get it ran over again.. eeeh. tired of the lack of updates on ciaociao blog? that’s because the ciao’s been in reno since the reno rally. i should get it back this weekend, i think! and then it’ll be my daily rider in this 100+deg heat! sweet! 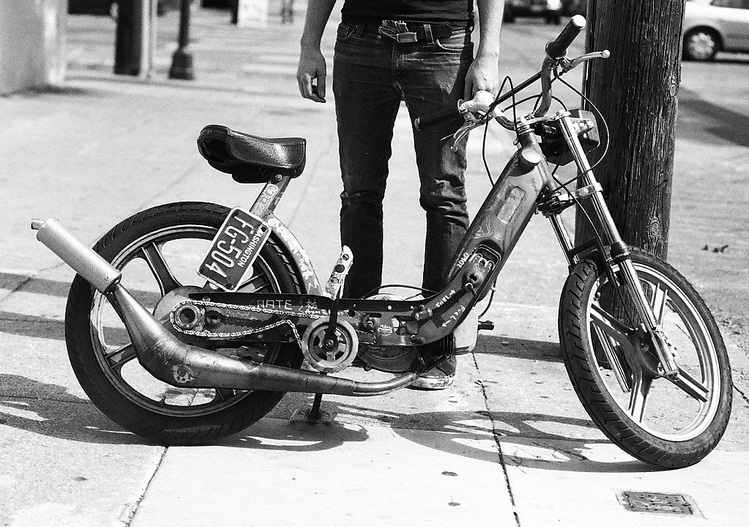 also, if you are looking for something to read, check out my all encompassing moped blog called destroy mopeds. i got sick of making a new blog for every bike i build, so i made one blog for all my projects! i should have done this years ago, i have like 3 or 4 build blogs that rarely get updated, and here i’m updating the destroy blog nearly every day, sometimes more than once a day! dang. anyway, check it out if you want! i’ll still be posting here about ciao stuff, but don’t expect very frequent updates.